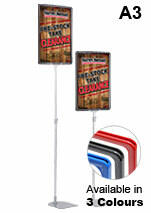 This array of products is currently on sale at extraordinary prices to help move product at our warehouse. 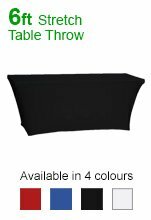 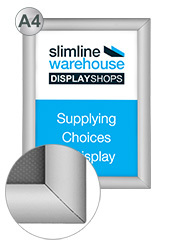 As we are constantly adding exciting new product to our online catalogue, at times we discount certain displays in order to make room at our warehouse. 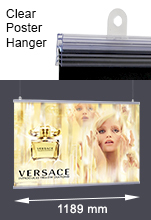 These products all feature the same high quality materials that customers expect when purchasing from our company, just at low-cost! 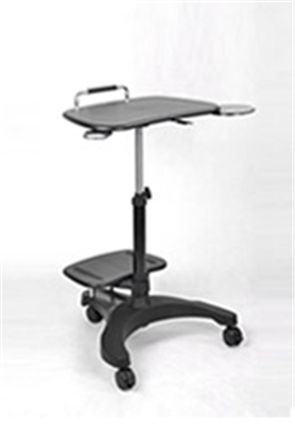 Many different types of products go on sale on these pages, with new items being added periodically as we move items around. 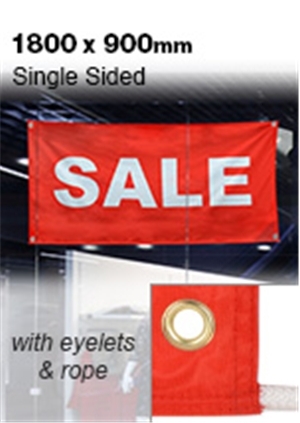 Be sure to continually check back with all of our sale pages to try and find the best deal for outfitting your business with quality products that will represent your company as well as goods and services you offer to customers in an eye-catching fashion. 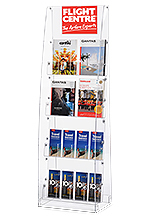 Our wide selection of different categories and product lines help ensure any location will find a beneficial display from our online catalogue! 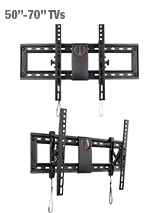 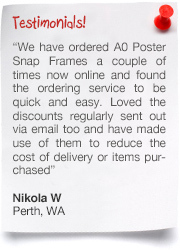 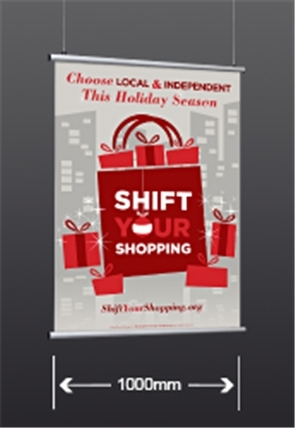 There are many clip frame choices currently offered on sale that make advertising at your business easy. 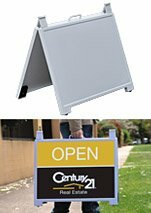 The different avalable sizes help make finding the right fit for your need simple, no matter the location. 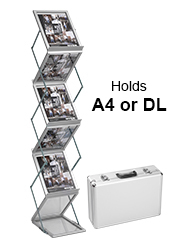 Advertising to customers is an important marketing facet for nearly any location, whether promoting new courses or tutoring opportunities to students at universities or showing that the newest model of camera is now available at your shop. 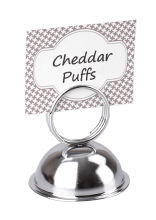 Using clipframes means you can quickly change out graphics with no tools needed in less than 60 seconds. 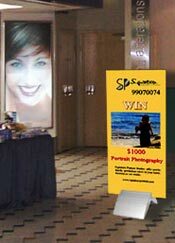 Snap open the (4) sides of the frame, remove the included protective lens with the old graphic, and then replace with the new one. 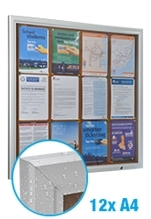 Let the (4) sides snap back shut, and your poster frame is ready! 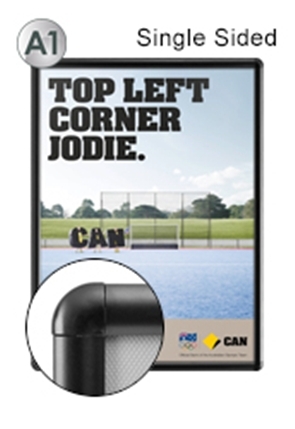 The included protective lens keeps grime and dust from gathering on your graphics, helping to maintain a professional appearance! 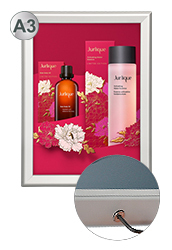 The multi-purpose frames offered on this page are versatile, able to show your posters in both landscape and portait orientation to give your creative team freedom when designing your ads. 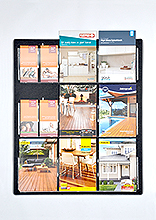 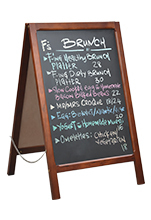 Each frame is also able to be wall mounted or placed on a counter-top to best fit your needs. 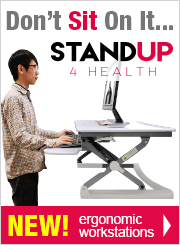 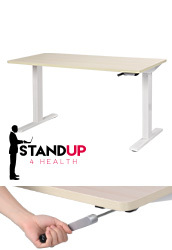 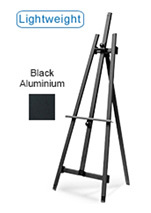 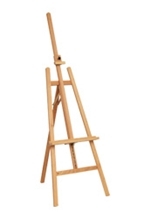 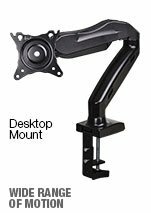 The adjustable foot on the back of the frame makes it easy to angle the frame for best view when on a table. 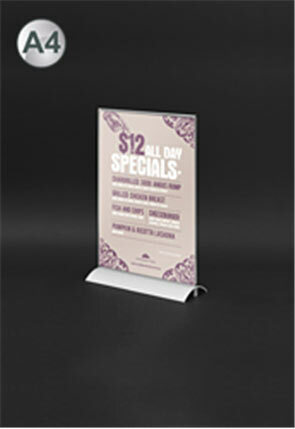 These holders are also useful for restaurants and coffee shops to place posters showing new menu specials or drink options! 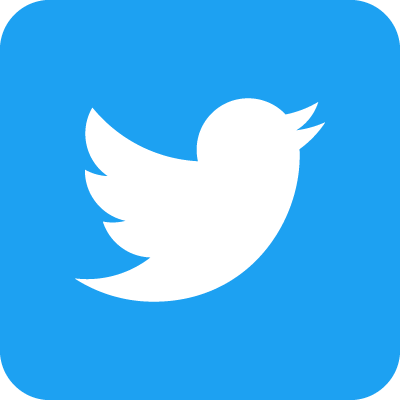 One of the best ways to get customers to learn about your products or business is providing an interactive experience that allows them to learn on their own. 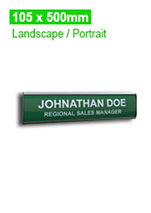 Having employees speak to customers about your goods and services is always helpful, but if a person comes up with what they want to purchase and investigates it themselves, they are more likley to complete the purchase! 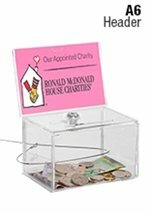 What items do we have on offer that help with this? 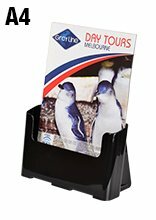 Different iPad stands are perfect for placing around a retail store or in an exhibition hall for customers to seek out information. 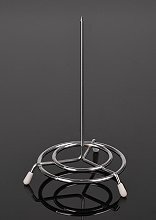 The iPad stands we offer have different finishes available as well, making it easy to pick one that will work within your décor. 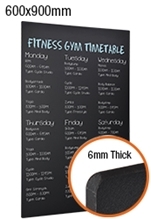 The finishes are either black or silver, both professional colours that easily work well at any business, providing a stylish look that helps to draw customers in. 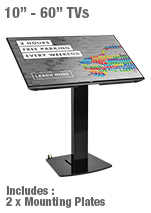 The stands are lockable, ensuring that your iPad will be secure whilst on display, freeing employees from having to constantly keep an eye on the device and interact freely with customers. 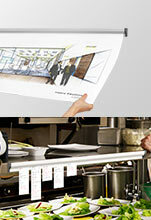 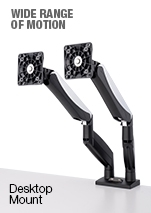 The tilted design of the holder is ergonomic to make it easier for potential clients to interact with. 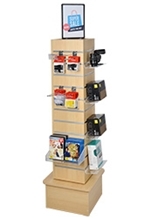 The power cord goes through the centre column of the stand, helping to maintain a tidy display. 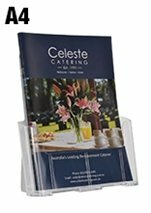 Offering a chance to look at your website or offer presentations about your products or services is a visual way to guide visitors through exactly what your business offers in addition to any brochures or catalogues you may give them to take home for further consideration. 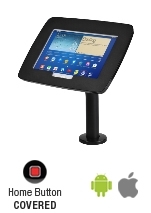 The App store feature free kiosk programs as well, so you can make a custom program that allows you to provide the information you want to customers. 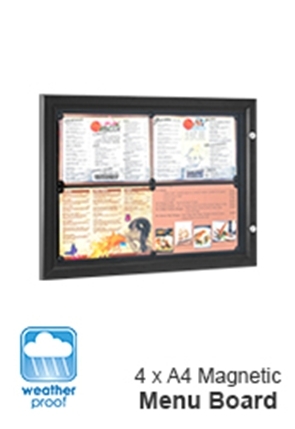 This display is designed to have the home button on your iPad covered to prevent access to the other programs and ensure that your tablet will not be tampered with. 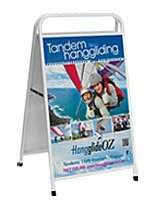 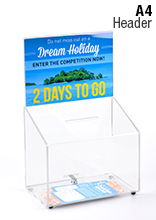 Made from aluminium, these displays are durable for use in any location, especially heavily trafficked areas, for years to come. 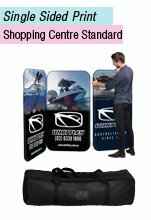 Even with their durable exterior it is still easy to move the display into a desirable position due to its lightweight design! 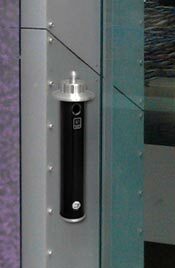 There are also heaps of stanchion options for creating barrier outside of nightclubs, pubs, bars, and even around areas at museums, car dealerships, information centres, and more. 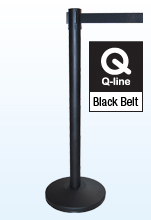 Designating an area for patrons to enter helps to ensure everyone is safe, and our different stanchions offer an inexpensive and stylish way to do this. 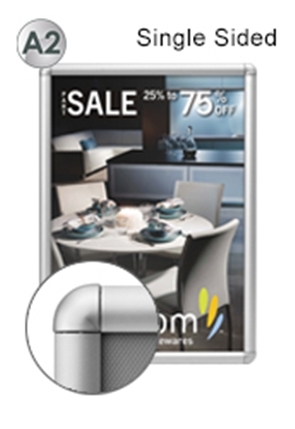 There are different finishes available in order to best fit in with the décor of your establishment. 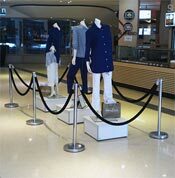 Additionally, you can choose from different colours of barrier ropes to suitably match your environment. 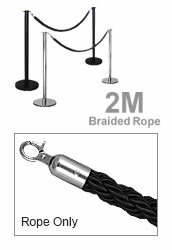 We offer two styles of the multi-coloured barrier ropes: braided and traditional velvet. 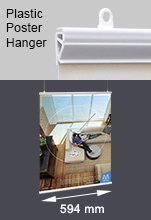 Both look great in any environment they are placed in, and are made to last for years to come. 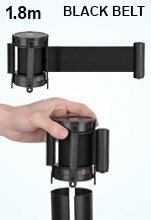 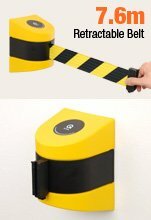 For other crowd control techniques, our series of queue barriers with retractable belts are a great option. 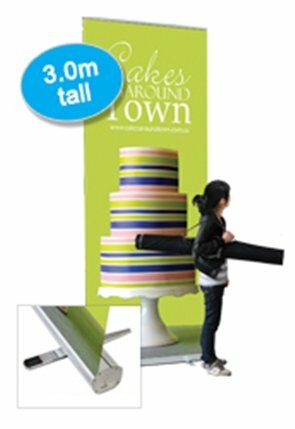 With many colours to choose from, picking a suitable version for your location is easy. 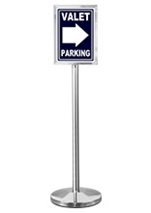 Various accessories including sign holders are available to mount on top of the queue posts for helping to inform waiting visitors and clients of important information. 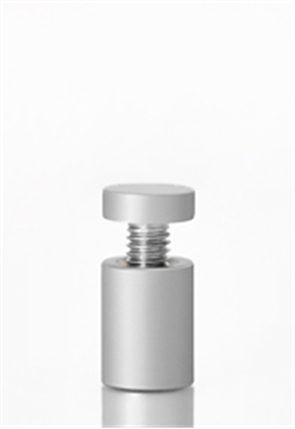 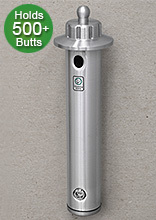 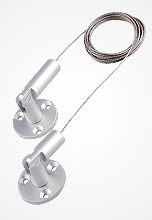 All of our products are made of high-quality materials, and these stanchion options are no different. 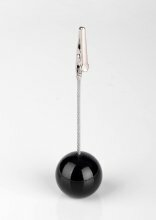 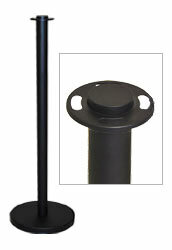 The steel post of many of the stanchions offer an extremely durable stand, featuring a black powder coat finish for a striking look that will readily fit in with nay décor. 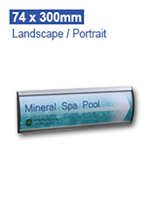 The make of these displays are designed to not rust or degrade over time, offering a great return on investment as these displays will provide years of use at your business! 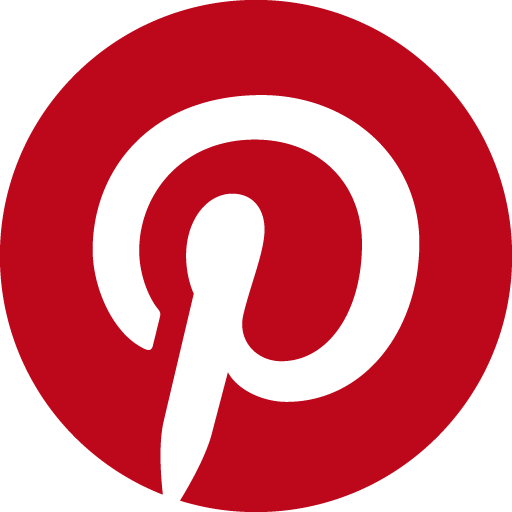 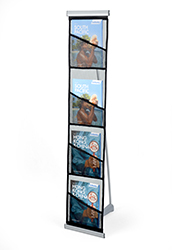 Browse through our entire selection of post styles to see all that is offered, helping your business to create a unique layout that is specific to your company! 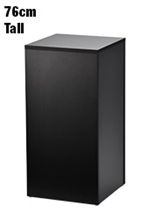 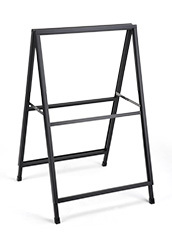 Another product line that we frequently add new products to features lecterns and podiums. 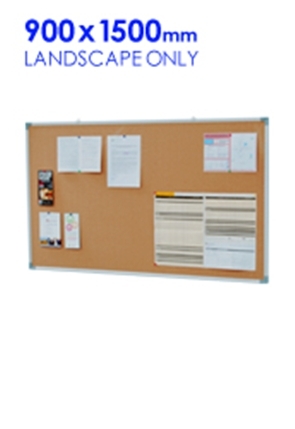 All of these different displays will help orators feel comfortable no matter what location they are used at. 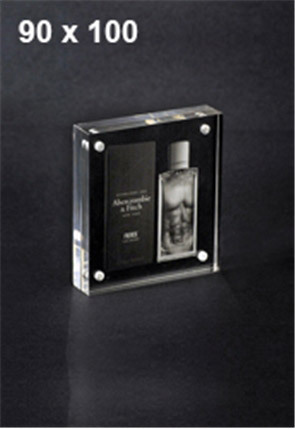 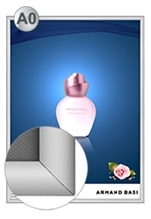 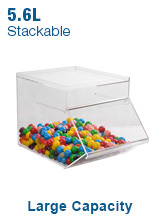 We offer a wide selection of different displays with various features. 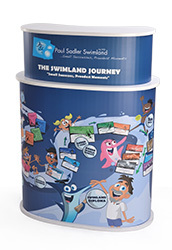 Some of the podiums are portable displays, with brochure holders on the front that are more designed as exhibition displays than straight lecterns. 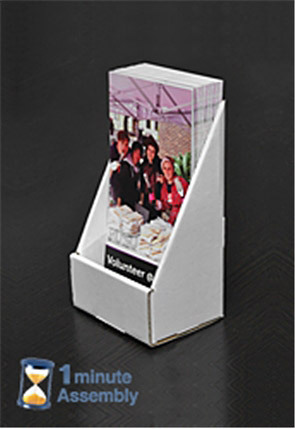 The collapsible units can be placed inside your booth as a greeting counter, where passersby can learn about your company and also getting additional information to bring away with them. 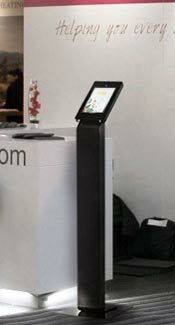 Another one of our units has wheels built into the display to be moved around an exhibition hall, school, or conference centre easily depending on what room the display is currently needed. 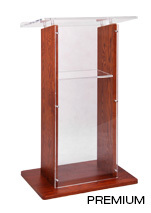 In order to provide a diverse assortment of lectrums, there are also wooden podiums with different finishes available. 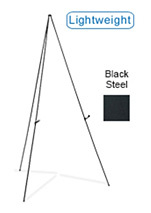 Any speaker will capture the attention of the audience with these high quality lecterns. 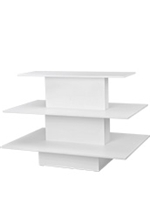 A slanted top with a lid easily holds lecture materials, such as notes, books, and even tablets or laptops. 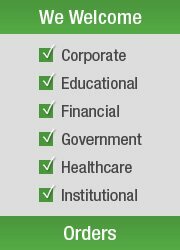 Click here to see our HUGE range of products, with hundreds to choose from in a variety of different categories to help your business find the exact one that will work best for your company. 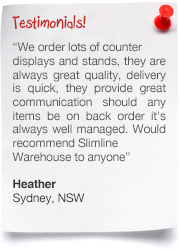 We have an expertly trained customer service staff on hand that will answer any questions you have about shipping or specific products during normal business hours. 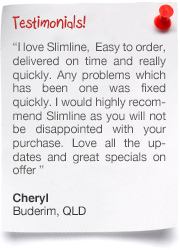 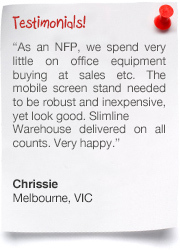 Slimline Warehouse has used a combination of low prices & high quality products to cultivate a large customer base that love our various products that help them to pick the right choice for their business. 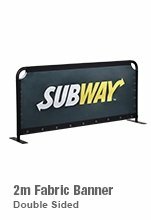 New items are added to our online catalogue all the time, helping to keep our customers up to date with the latest in trends, styles, and technologies. 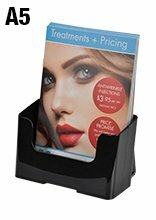 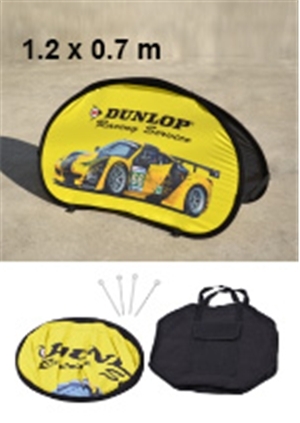 Products have been sourced from both local vendors & international partners to provide unique displays in many categories to our customers at great prices. 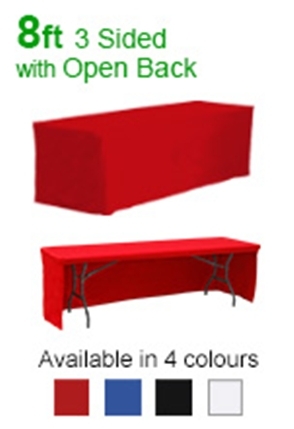 All items are thoroughly inspected by our quality assurance team prior to being offered for sale so that only the best items are able to be sold to our clients. 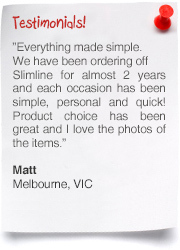 Orders made prior to 1pm EST will despatch same day with most in stock products at our warehouse. 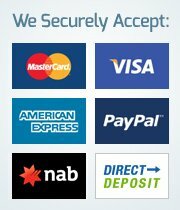 We are able to ship to anywhere in Australia, including Cairns, Perth, Bendigo, Darwin, Hobart, Gold Coast, Adelaide, Townsville, Sunshine Coast, Wollongong, Brisbane, Canberra, Alice Springs, Sydney, & Melbourne!